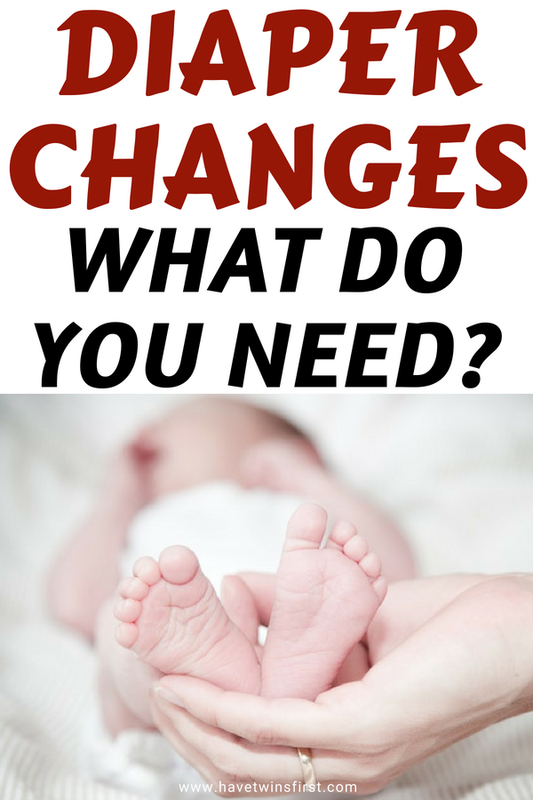 This post contains recommendations for diaper changing essentials from a mom of twins plus one. Included in this list are recommended brands, plus quantities needed of each item for both twins and singletons. Start with the quantities listed below and buy more diapers in the correct size, as needed. Keep in mind, there is a good possibility you will also receive diapers as gifts. I personally like Pampers Swaddlers for newborn, size 1, and size 2. (1)* Case of Wipes – I like Huggies Natural Care wipes, which can also be purchased at Costco. When babies get bigger around 6 months of age, or when they go to size 3, the Costco Huggies, called Huggies Plus, are made special for Costco and have extra protection. I love the Huggies Plus diapers because there is a noticeable difference in absorbency between these diapers and regular Pampers, Huggies, and store brand diapers. (9)* Waterproof Changing Pads – these are great for diaper changes on your bed in the middle of the night during the newborn phase and to protect the changing pad cover. When the baby gets bigger use them if she needs to be changed on the floor. They also come in various sizes, it’s good to get a few different sizes. (1) Diaper Bag – I like ours, it’s a good size and my husband wanted a gender neutral bag. This bag is big enough for twins too. (1) Container of Diaper Rash Cream per changing area – it is also good to get a smaller tube of diaper rash cream to keep in the diaper bag. Aquaphor is my favorite. Another great thing to have available is hand sanitizer at each diaper changing station, plus a travel hand sanitizer for the diaper bag. 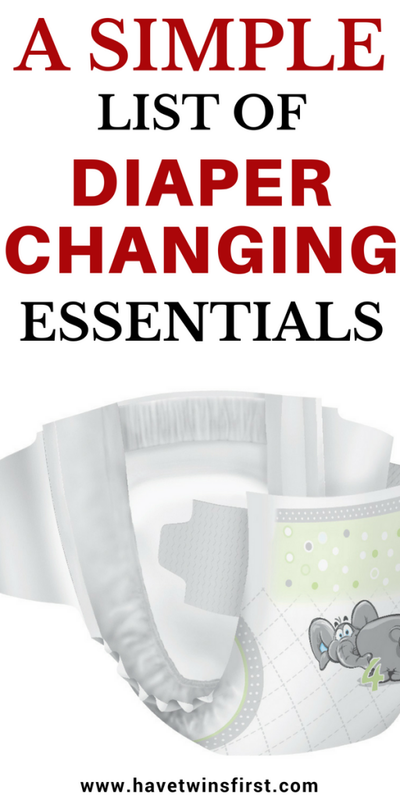 That’s our list for diaper changing essentials. Be sure to check out the complete baby gear must have lists for twins and our baby registry checklist for singletons. And, if you are wondering where to register, check out our post on the best baby registries. If you found this post helpful, please share it on Pinterest or Facebook.